New Juventus signing Cristiano Ronaldo surprised visitors at the Forbidden City on Thursday. The Portuguese star is in the Chinese capital for two days as part of his annual “CR7 Tour”. 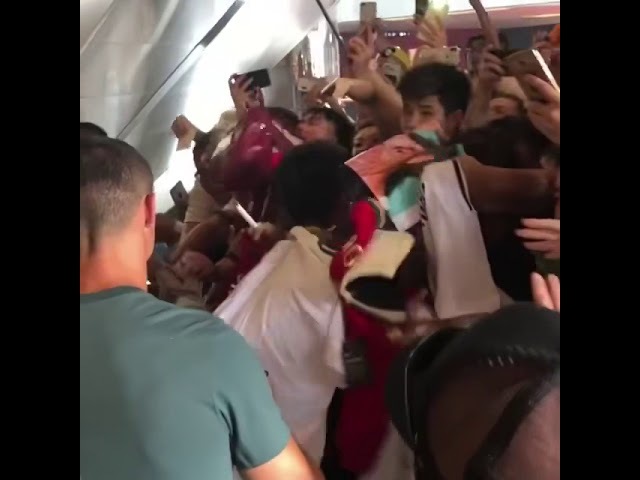 The former Real Madrid man also took part in a promotional event with Nike at a popular mall in the capital in front of hundreds of fans eager to get a glimpse of one of the icons of the football world.